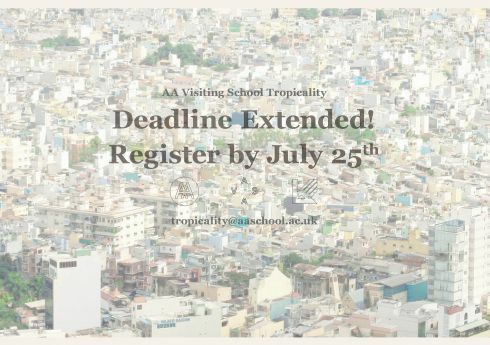 Last call for students interested in attending the 2016 Architectural Association Visiting School Tropicality - Registration deadline 1st of August. For HCMUA Students, and other interested Vietnamese students, the total fee: 528.5 pounds for individual subscriptions. For groups of 2+ subscribing at the same time, further reductions apply. * Symposium as a related event to the workshop but also a free event for the public to attend. 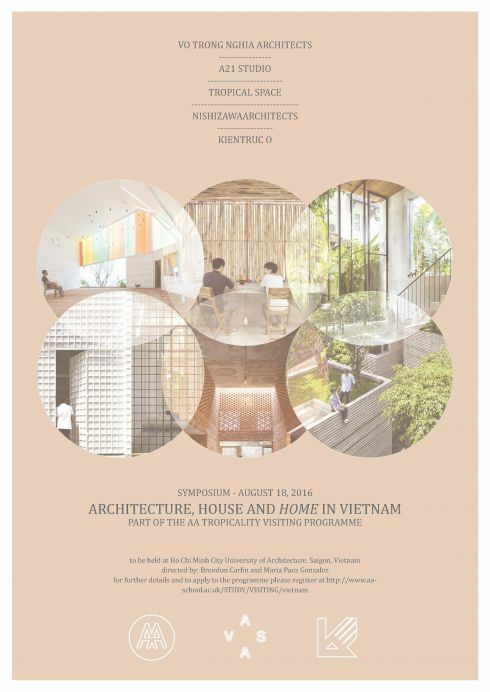 Over the past ten years a group of Vietnamese architects has emerged into international recognition. This influential group of architects is working predominately in an increasingly globalised yet still distinctive Vietnam, but are also beginning to take on international commissions. Elaborating the familiar distinction between the well-known concepts house and home, might in fact offer a window into insights about the changing nature of Vietnamese society, the family, identity, meaning and its relationship to architecture of the domestic space. 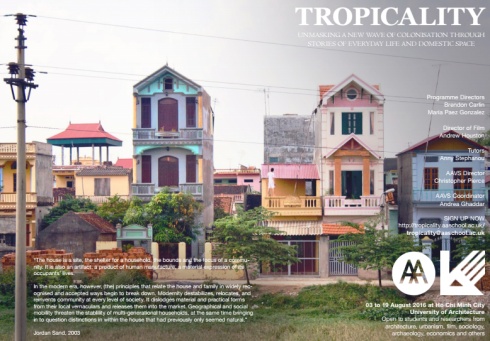 An important inquiry underlying Tropicality's four year programme is to uncover ways in which architecture, its practice and its inhabitation are struggling for autonomy in varied and colourful ways, and in doing so, reveal a fundamental strand of global solidarity amongst architects and the people that inhabit their buildings. The purpose of this workshop as an experiment is to cultivate extraordinary design insights, hone your compositional abilities as a designer and to refresh an architectural sensitivity and sensibility to the interrelationships of material organizations, space, and human perception and reaction. 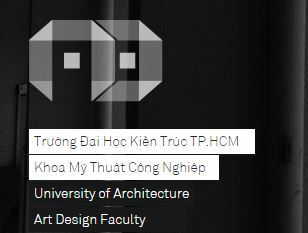 This year, the workshop is expected to be held at Ho Chi minh City University of Architecture from August 3rd-19th. 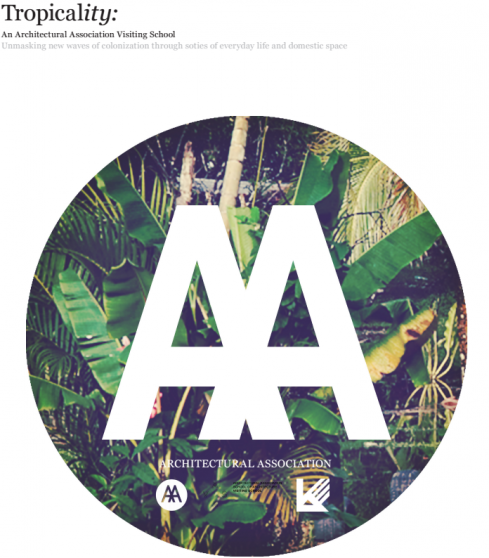 The workshop is open to professionals and students of concerned disciplines including those of Architecture, Urbanism, Film, Sociology, Archaeology, Economics, and Interior design. The AA will consider reduced subscription fees for HCMUARC student groups that want to enroll together. The discount cannot be greater than 30% and will be defined and notified to HCMUARC no later than 2 weeks prior commencement.